Lehigh Acres personal injury attorneys at Associates and Bruce L. Scheiner, Attorneys for the Injured, know that our area’s parks, nature preserves, golf courses and other venues offer outstanding opportunities to enjoy Florida’s incomparable outdoors. Our firm began serving the people of Southwest Florida nearly four decades ago, and we have seen and been part of many changes since then. Our Lehigh Acres personal injury lawyers know that population growth has seen corresponding growth in the potential for accidents on our roads. In Florida, more than 235,000 traffic crashes per year leave thousands of people hurt and in need of real help to recover their physical and financial health. Lehigh Acres is conveniently located just east of Fort Myers in Lee County. A census-designated place represents an unincorporated area where there is a population concentration – in the case of Lehigh Acres, more than 70,000, according to 2010 figures. Settlement of the area began in earnest in the 1950s when ranch land was sold for development. Lehigh Acres’ proximity to Fort Myers and Interstate 75 make it an attractive base for visitors and residents seeking affordable access to Florida’s attractions and amenities. At Associates and Bruce L. Scheiner, Attorneys for the Injured, Lehigh Acres motorcycle accident lawyers have built a respected reputation for coming to the aid of riders and their passengers in the aftermath of serious motorcycle crashes. Statewide, more than 8,300 people suffer injuries in motorcycle accidents yearly, and almost 400 lose their lives. Motorcycle safety is a compelling concern for our firm, as is providing the strong advocacy and representation that riders need when careless or negligent drivers have left them seriously injured. Perhaps because Bruce L. Scheiner works alongside his wife, who manages our office, and his son, who joined the firm as an associate attorney in 2007, he understands the distress families feel when a loved one is injured in a motor vehicle crash. He also takes a personal interest in each case we take on. 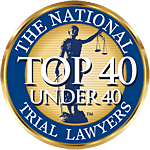 Over the nearly 40 years of our firm’s history, Associates and Bruce L. Scheiner, Attorneys for the Injured, has worked diligently to see that motorists who choose to drive under the influence of alcohol are held liable for the injuries and deaths they cause. Lehigh Acres drunk-driving accident lawyers at our firm have seen the heartbreak drunk drivers’ actions create when innocent victims are killed and lives are forever changed. We know that Florida roads see more than 20,000 alcohol-related crashes yearly, and that more than 1,000 lives are lost to drunk drivers. We support every effort to put a stop to such destruction. If you or someone you care about has been hurt in a car, truck or other traffic accident, we invite you to call the offices of Associates and Bruce L. Scheiner, Attorneys for the Injured, and ask for a free consultation. If you’re unable to come to our offices, we’ll meet with you in your home or hospital room. When we take on your case, you pay us nothing unless we win for you.